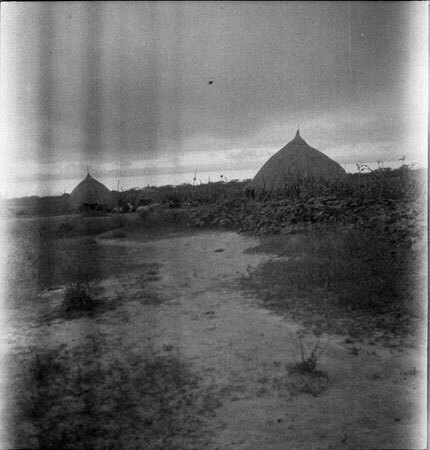 Looking down a cattle path towards a homestead, with the roofs of two cattle byres visible [dark image] (see 241). Morton, Chris. "Nuer homestead" Southern Sudan Project (in development). 03 Jan. 2006. Pitt Rivers Museum. <http://southernsudan.prm.ox.ac.uk/details/1998.346.296/>.